Thanks to recent innovations in data analytics technology, dealers have a number of resources available to help them source, acquire, and eliminate the vehicles on their lots. Although a dealer’s experience and intuition are invaluable assets, the ability to easily aggregate data streams to help make informed recommendations serves as an opportunity to take dealerships to the next level. Dealers can supplement their already-successful efforts with new strategies to increase profits. As is often the case when it comes to tech disruption, these innovations are exciting, new, and constantly changing. A number of dealers have already been successful as early adopters of these technologies. By making yourself aware of the data revolution taking place in the automotive industry, you can take advantage of these opportunities also. The first wave of innovation came a few years ago, when software hit the market that allowed dealers to look at historic customer-demand data, as well as cost information. 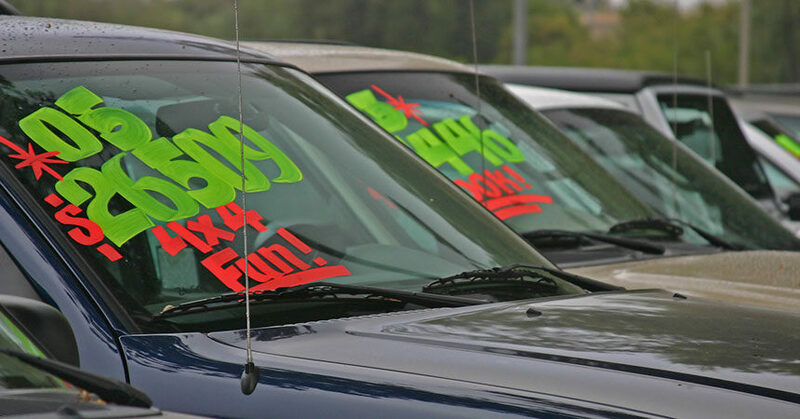 This helped dealers develop their pricing strategy. A few clicks could tell them that they were priced 2% below the market average, for example. This was an industry game-changer, giving dealers more tools to make informed decisions. Although this innovation was extremely valuable, it relied on data about what had already happened. But the next frontier for dealers will be to look at what will happen. Recent innovations include algorithms that help do the heavy lifting for you. They supplement your expressed interests with proactive recommendations that go outside the box of what you may have originally had in mind. For example, you may never stock Honda Accords, and not even be in the mindset to look for them. The algorithms are able to look across the competitive landscape in your area, however, and identify an opportunity with that particular vehicle, bringing a recommendation to the table that you never would have considered. The technology does this by looking at customer demand in a given geographic market and marrying that demand data with information on what competitors are selling, and at what prices. In doing so, the technology can identify market inefficiencies and bring them to your attention. With this methodology, you are no longer looking at past purchasing data—you are predicting where your customer is headed, and adjusting your decision-making accordingly. By understanding the customers’ propensity to buy going forward, you can better stock inventory based on what the customer will be looking for. These recommendations don’t need to be made in a vacuum. Knowing there is a market inefficiency on a particular car model is meaningless if that model doesn’t align with the type of customer that frequents your dealership. For example, even if Audis are hot in your region, your customer base simply may not be Audi drivers—in which case you’d be wasting money trying to stock them. Companies and services that offer the latest in real-time data analytics are able to add another layer by factoring in information about successful sales you’ve made to help understand your target customer, which will help you build your optimal lot. Today’s tech offerings have the capability to segment your customers, understand your dealership’s value proposition, and proactively offer recommendations based on what will resonate with your unique base of customers. Data is never going to outright replace a dealer’s years of experience. There’s a reason dealers were already successful before these technologies arrived, but today’s tech solutions provide an opportunity to augment your existing decision-making process by offering smart, real-time insights. By combining analytics and data-based recommendations with your own experiences and base of knowledge, you can get an edge on the local competition and take your dealership to new heights in the coming years. John Manganaro is the vice president of product and analytics for DRIVIN, where he is responsible for product innovation and data analytics, focused on helping dealers manage their used-car inventory effectively. Previously, Manganaro was a management consultant for PwC and a product owner for tech organizations, including Cars.com. It’s 2017: Is Your Website SEO Up to Par?